Artistic rendition of the ill-fated Amos-6 satellite. 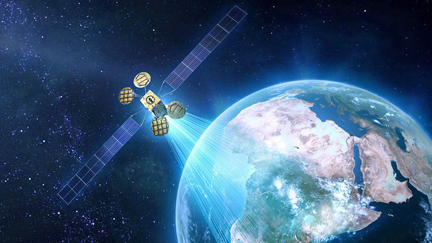 In a fresh report from The Jerusalem Post, authored by Judy Siegel-Itzkovich, less than half the amount needed to build and operate the Amos-8 communications satellite has been collected by the government to replace the ill-fated Amos-6 satellite that exploded at launch from Cape Canaveral in 2016. In a follow-up discussion on the future of communications satellites in Israel, it emerged that a lack of funding led to the rental of a foreign-made satellite, named Amos-7, at a cost of tens of millions of shekels. This is expected to lead to the shelving of the Amos-8 project, Kisch said, adding that are only two weeks to meet the deadline for getting the budget, and I don’t see it happening. "The project will remain on paper,” he said.